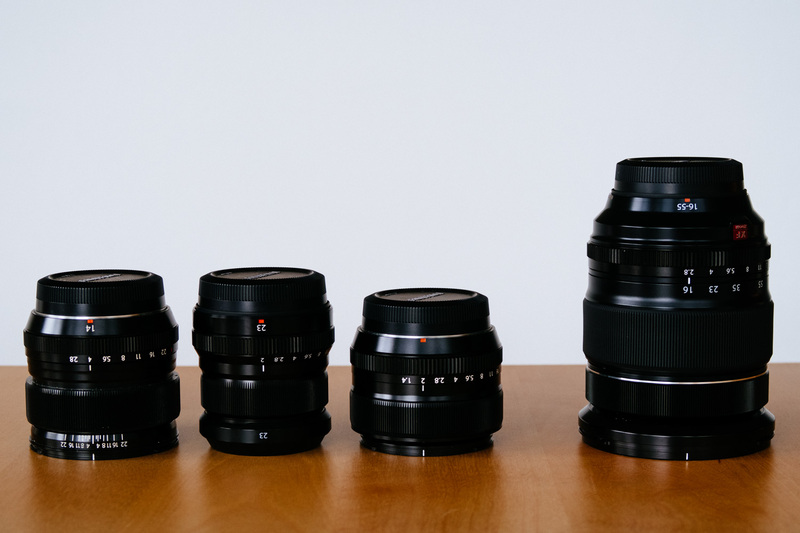 Primes or zooms, that’s the question. At least for many who start to build their camera system. This is an attempt to find an answer. I’m old enough that I started shooting with primes because there was no zoom for the old film SLR my father gave me to practice. There was only a 50mm lens and a 135mm but mostly I shot with the 50mm. When I bought my first camera with my own money, a Nikon F801, there was no questions that I will get a zoom. I bought a 35-70mm and many months later added a 70-210mm. Over time I bought more lenses but the real game changer was when I finally bought my first pro level lens, a Nikon 80-200mm/2.8. Wow! I was able to see the difference from the very first slide I looked at. There was a clarity I haven’t seen before. This lens was in a completely different class. Later I also got a second hand Nikon 20-35/2.8 to get pro-level image quality for wide angle shots too. I also owned some primes but mainly for macro photography and tele. I was not a prime shooter. When I switched to digital it was the same. I mainly shot with zooms and I always had a 70-200/2.8, But I added two primes for portraits when I shot with Canon. The 35L and the 135L. But those were portraits only and I never took them on vacation. When I bought a Fuji X Pro-1 to have a small camera for my business trips and for all the times when I don’t want to bring my DSLR I became a prime shooter. Simply because at the beginning there were only primes in the Fuji system. I started with the 18/2 and the 35/1.4. I added the 14/2.8 when it came out in early spring 2013. It seems that Fuji has transformed me into a prime shooter simply because there were no other lenses available at that time. Since then I bought many cameras and lenses from Fuji but the 14/2.8 and the 35/1.4 are still my favourites. Those two plus the 23/2 have become my standard set of primes for my trips to Asia. Here are my thoughts about my favourite set of primes. It is simply a delight to shoot with such a light camera. Every lens out of the three is so light and compact they make the 18-55 seem heavy. But why do I still have zooms then? Because I prefer to shoot zooms when on vacation. When I finally fully switched to the Fuji X system in 2016 I sold my Canon full frame gear and got the XF 10-24, XF 18-55 and the XF 55-200 to cover the basics. Recently I replaced the 18-55 with the 16-55/2.8 and took it on a business trip to Seoul, Korea. I also took my 14mm lens but restricted myself mostly to the zoom. I also shot the 16-55 on our vacation in the USA this year and it became my most used lens. So why do I still have prime lenses? Because I go to a lot of trips where I only want to bring a small and light shoulder bag. And let’s face it: That’s what most normal people do if they have not converted to smartphone photography already. Most people go on vacation with a camera and one or two lenses. For the majority it’s just the kit lens that came with the camera. 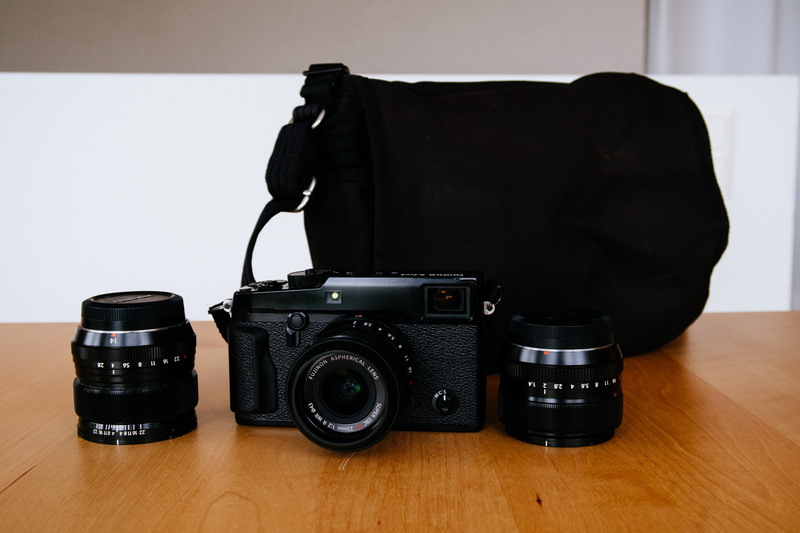 It’s better than a phone but of course this is a photography website and that’s why I compare two high end options here in Fuji land: the Fuji XF 16-55/2.8 WR vs Fuji XF 14/2.8 R + Fuji XF 23/2 WR + Fuji XF 35/1.4 R.
The XF 16-55/2.8 is so good that it is considered a bag of primes in one lens. Sounds convenient but there is a price to pay. What is the real world difference? no lens changes: OK that’s obvious but still something worth to mention. Most important in harsh environments but no disadvantage in every day life either. a rather heavy camera/lens combo on my neck and an almost empty camera bag on my shoulder. With the 16-55/2.8 the X Pro-2 becomes a quite substantial camera. I didn’t like that. The now empty camera bag was strange too. Like I lost a lens or two somewhere. 16mm is wide but not wide enough for me. I’m used to the XF 14/2.8 R which is still my favourite lens. The 16mm on the 16-55/2.8 is excellent but it is no substitute for the wider lens. It’s nice to have 55mm and there is a surprising amount of subject separation when shot at f2.8. It’s still not as nice as the 35/1.4 shot at f1.4. Condensation: It happened twice to me that the zoom lens fogged up internally when I stepped out of the air conditioned car or hotel into the hot and humid. One time at the beach in Chennai/India with the 18-55 where I couldn’t shoot for minutes that felt like hours. And the last time in Seoul with the 16-55 which I think is even more prone to that because of the amount of glass. When those lenses are cold and you expose them to high temperatures and high humidity they will fog up and there is nothing you can do but to wait. I never had that experience with one of the primes. Appearance of your camera: I’m not telling you that you are invisible just because you are using a smaller camera. That’s ridiculous. I’m over 6 feet high and I’m white. Do you think my camera will make the difference and that I otherwise would blend in perfectly when in a temple in South India? Of course not but a smaller camera is less intimidating for your model when you take a portrait plus it saved me a couple of rupees in India because it was not considered a professional camera. And of course you are not a prime target for a robbery when your camera looks like she is from the 60s. Finally: If one of my primes should fail for whatever reason I still can continue to take pictures with the other lenses. If that happens to the only lens that I have brought with me I better be in Tokyo to be able to replace it immediately. There are many good reasons to prefer small prime lenses instead of zooms but pure image quality is not one of them. That of course is only true if you compare prime lenses with the best zooms that are out there like i.e. the XF 16-55/2.8 WR. If you compare the image quality of primes with i.e. the XF 18-55 the difference is significant. This entry was posted in Article, Lens Review, Review, Travel and tagged Fuji X Pro-2, Fuji XF 14mm, Fuji XF 23/2 WR, Fuji XF 35mm, review, XF 16-55 WR by admin. Bookmark the permalink.